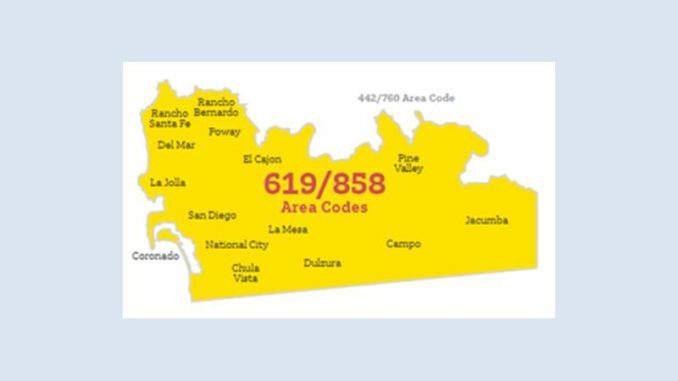 Residents and businesses with 619 and 858 area codes must dial 1 + area code + telephone number for all calls as of May 19, 2018. After that date, if callers do not use the new dialing procedures, the call will not be completed and a recording will instruct the caller to hang up and dial again using the new dialing procedure. Deadline: Beginning May 19, 2018, direct dialed calls from 619 and 858 phone numbers will not go through unless dialed as 1 + area code + telephone number. Phone Numbers and Pricing Unchanged: The new dialing procedure will not change existing 619 and 858 phone numbers or the cost of the call. Calls that are in a consumer’s local calling area remain local calls. Dialing 9-1-1 Unaffected: Consumers can still dial three digits to reach 911, as well as 211, 311, 411, 511, 611, 711, and 811 where they are available. Reprogram Automatic Dialers: Automatic dialing equipment must be reprogrammed to use the new dialing procedure, including: life safety systems, fax machines, Internet dial-up numbers, alarm and security systems, gates, speed dialers, call forwarding settings, voicemail services, and other similar services or equipment.